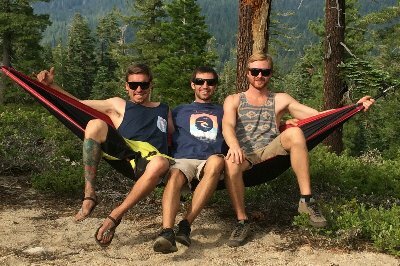 Founded by South Lake Tahoe locals, Bryan Burnam and Jacob Hanneman, the Humboldt State University (HSU) graduates created the first-ever Bakpocket hammock as their senior project in 2013. Since its grassroots inception, Bakpocket has expanded to create more than 20 products now sold throughout California. As outdoor recreation majors at HSU, Burnam and Hanneman both shared a strong passion for outdoor recreation and the environment. 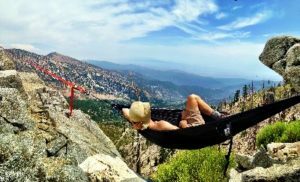 Their minimalist approach in the backcountry, combined with their creativity and innovation, led them to develop Bakpocket Products’ comprehensive hammock line. Through years of product development and testing, today, all Bakpocket hammocks, backpacks, beach blankets and eco-friendly hand and shoulder bags are made out of durable and ultralight parachute material. 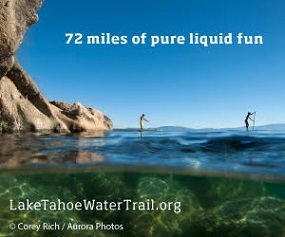 Founders, Burnam and Hanneman, recently partnered with creative web developer and South Lake Tahoe local, David Williams, to assist in helping the company reach online markets at bakpocketproducts.com. Starting Friday, August 8 through September 6, 2014, Bakpocket Products is launching their newest and most innovative product on KickStarter.com. Kickstarter is a global crowdfunding platform designed to help companies like Bakpocket Products promote their products. Visit bakpocketproducts.com to learn more about the Kickstarter project and to help bring their latest product to life.